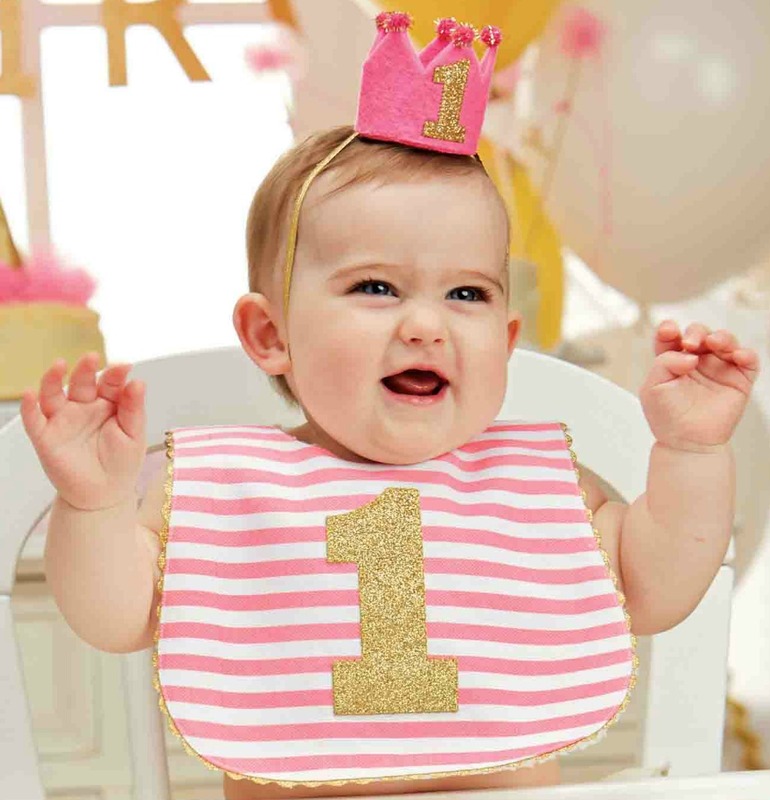 Adorable pink and white striped 1st Birthday Girl's Bib features gold sparkle #1 applique and gold rick rack trim. Machine wash. Imported. Hat shown is not included, price is for bib only. Birthday bib measures 12 inch x 10 inch.